Olympic gold medalist and record holder Aries Merrit is known for his ability to leap hurdles. But when a rare condition caused his kidneys to fail, Aries faced a life-threatening obstacle. 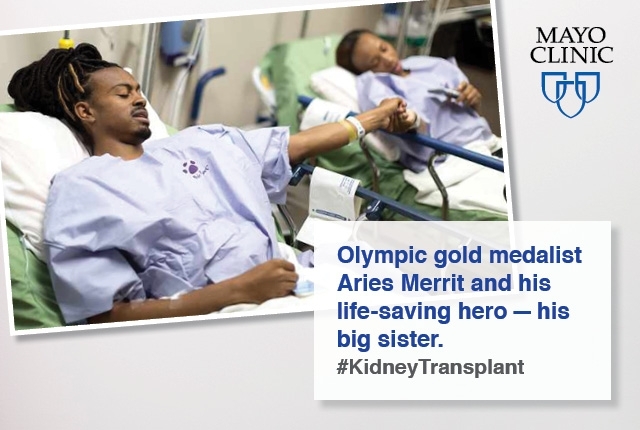 He turned to his hero - his sister LaToya - for a life-saving transplant. Read their story. Olympic gold medalist and record holder Aries Merrit is known for his ability to leap hurdles.